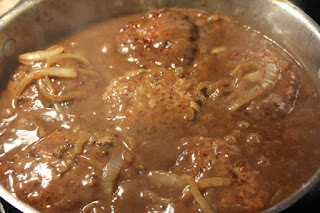 Cook's Notes: The brown gravy for these is pretty good all on its own since its reliant on the pan drippings, but if you have it, just that little bit of Worcestershire and Kitchen Bouquet adds a bit more depth and is delicious. If you find that you need a binder, add in a small amount of fresh bread crumbs to the ground beef. 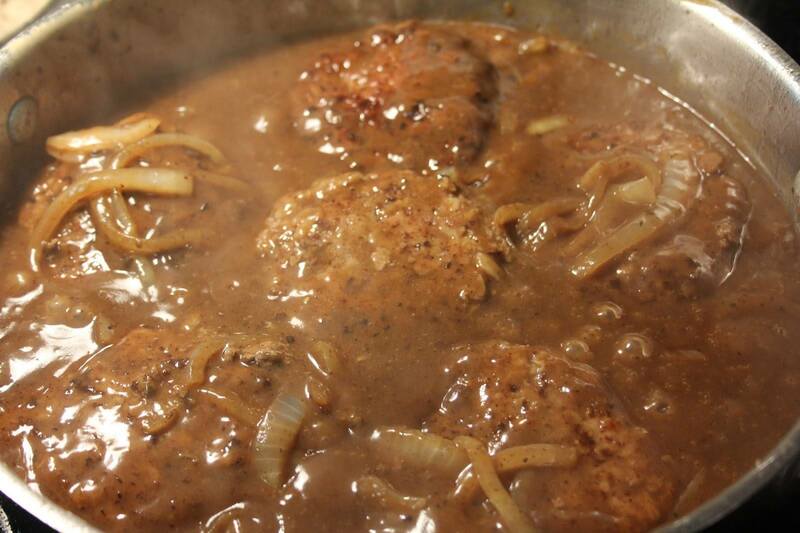 If using pre-made hamburger steak patties, omit the onion, egg and hot sauce, and sprinkle both sides of the patties with the seasoned salt, garlic powder and pepper, pressing in the seasoning a bit. Then dip each patty in the flour and proceed with the remaining recipe.